While using the Voice Recognition system, it is possible to select menu options by using the steering wheel controls instead of speaking voice commands. 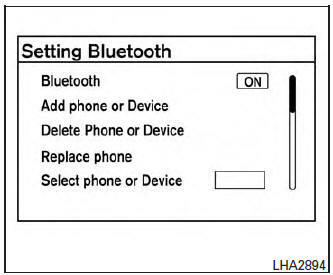 To activate manual control mode, press the PHONE/SEND ( ) button on the steering wheel to access the phone menu and then press either up or down on the tuning switch ( ). To reactivate Voice Recognition, exit the manual control mode by pressing and holding the PHONE/END ( ) button. At that time, pressing the PHONE/SEND ( ) button will start the Hands Free Phone System.